This summer I researched the toxicity of Zinc Oxide nanoparticles on Saccharomyces cerevisiae (common baking yeast) in normal and microgravity conditions. But why should anyone care about the effects of Zinc Oxide nanoparticles? Zinc Oxide nanoparticles have many exciting potential biomedical applications, such as killing cancer cells and antibacterial effects. Yeast was chosen as the model organism because it is inexpensive, easy to handle, and has many similarities to human cells. It’s crazy to think how much we have in common in something we use in our kitchen to help bread rise. You can measure yeast vitality by counting Colony Forming Units or CFUs. Each CFU on a plate is a group of cells that all came from the same mother cell. 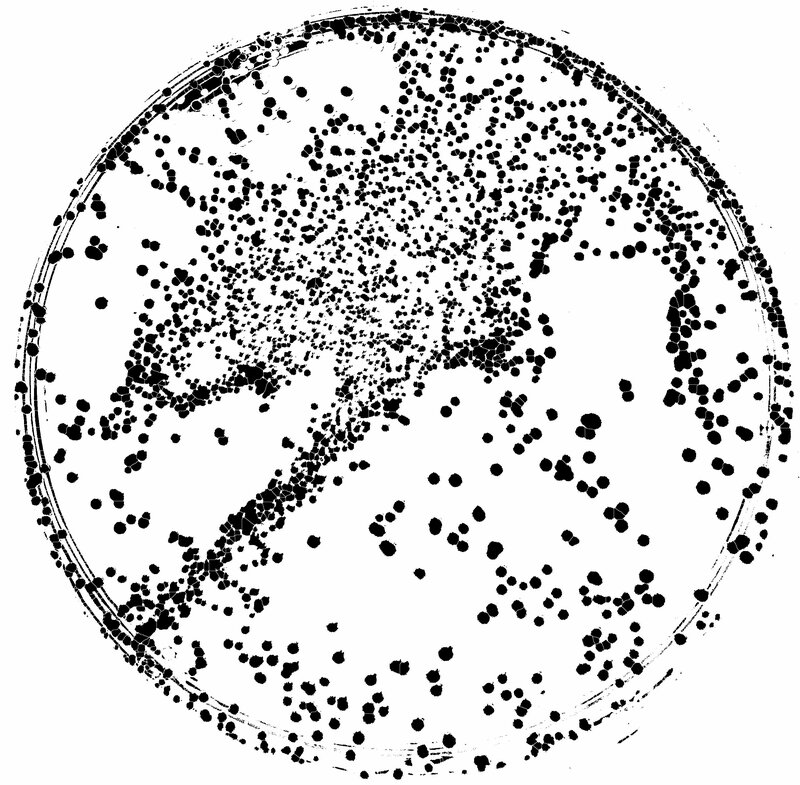 Plates were counted using a program called ImageJ. The images were adjusted so they were 8bit and then the "Analyze Particles" function was used. Microgravity conditions were obtained using a special bioreactor known as a Rotating Wall Vessel Bioreactor or RWV. In the a postion, it has normal gravity conditions. When in the b postition, the RWV constantly rotates in vertical direction so that the yeast never settles and is in constant freefall. This creates simulated microgravity conditions here on earth without having to go to the International Space Station. While it is unlikely that there are ever going to be any yeast astronauts, it is informative to know what conditions such as microgravity do to the interactions between the yeast and nanoparticles. We found that there was no significant difference between the growth of yeast in normal and microgravity. We also found a 35% decrease in cell viability at 400 mg/L. This will be the ideal concentration going forward with the toxicity tests because it has significant cell death but there’s not so much death that we can’t see whether the effects change in microgravity.